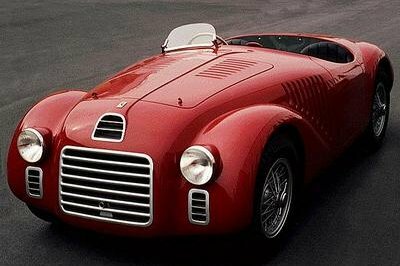 Back in the days when Ferrari developed engines quicker than they could do gearboxes or bodies, as per Enzo’s belief that those who rely on aerodynamics can’t put together proper engines, many memorable roadsters were built using the 4.0-liter Lampredi V-12 as the centerpiece. Other configurations sprouted from this 1951-designed powerplant as the company continued to use this layout all throughout the decade. One of the most emblematic models of the 340 series is the 340 MM, which appeared as an evolution of previous 340 iterations in 1953. 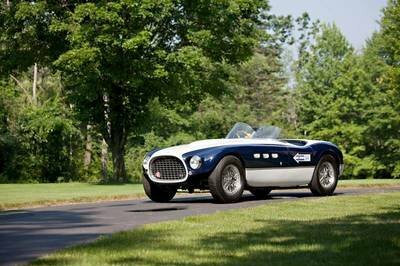 As with other Ferrari cars, MM stood for Mille Miglia, the race for which the car was originally conceived and which its forerunner, the 340 America, had won in 1951. In truth, the MM was the real replacement of the America, being a real step forward from the so-called 340 Mexico from which it evolved. With only 11 examples built, the 340 MM is an extremely rare car, especially since both Carrozzeria Touring Superleggera and Carrozzeria Vignale dealt with building spyder bodies while Pininfarina crafted the coupes. This means that nearly each example is unique in its own way. Couple this with the racing history of certain chassis and you get part of the reasoning behind the prices for which these cars change hands. One of the many in the myriad of Ferrari ultra-exotic rarities. 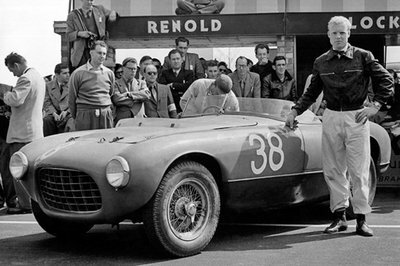 Continue reading to learn more about the 1953 Ferrari 340 MM Competition Vignale Spider. The 340 MM could not be more different from cars we see today in top tier, sports car racing. Obviously, the 60-odd years that that have passed since its introduction took their toll on the way prototypes look like, but the simplicity of the design, either in Vignale or Touring guise, speak volumes of a different era when aerodynamics were still considered a black art reserved for rocket scientists and others alike. When viewed from the outside, one cannot help but think of how compact the car seems, a feeling enforced by the reduced wheelbase, which measured 2,500 mm (98.4 inches). 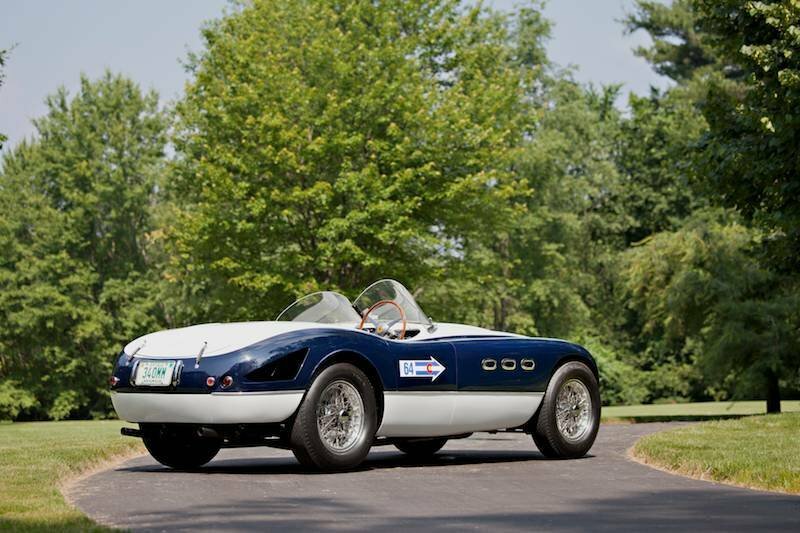 The barchettas sported the same clean profile, with the Vignale-bodied chassis being the more aggressive of the lot mainly due to the shape of the front fenders and the air vents that were carved in the rear corners of the car. The front end is dominated by the massive air inlet covered by a classic Ferrari-style mesh grille. The front end is dominated by the massive air inlet covered by a classic Ferrari-style mesh grille. The headlights sit high on the front corners of the fenders, the Vignale employing a more modern design with the headlamps fully embedded in the fender. These bodies, of which five were built, are also easily distinguishable by the three air vents that sit next to the door, somewhat reminiscent of period Maseratis. The Pininfarina-bodied coupes were devised for Le Mans as the factory looked for top speed given by a streamlined, low drag body. These cars featured an extra set of lights up front as well as extra air vents on the rear fenders. 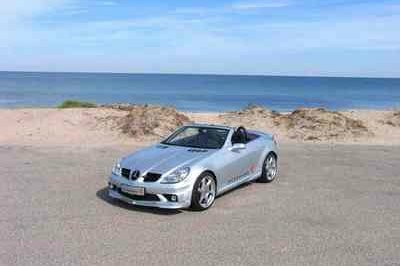 The front air inlet had a more rounded shape, somewhat similar to the 375 cars that followed. All these changes proved to no avail in the race where the seemingly under-geared cars achieved not only displeasing top end speeds but were also marred by reliability woes. The simplicity of the hand-crafted body is matched by the simplicity of the cabin premises. All of the important gauges are located on the center of the dash, with the tachometer on the right side and the speedo on the left. In between, there are the oil pressure and fuel gauges as well as the starter. The familiar wooden-rimmed steering wheel positioned on the right-hand side is large enough to make it somewhat hard for the driver to read the revs, but this was necessary in the days when unassisted rack-and-pinion steering was the norm. Two leather-wrapped bucket seats furnish the interior although, most often, there would be no co-driver. True to those days, the man behind the wheel is protected from the elements only by a minimally tall windshield that is mostly in place for aerodynamic purposes. For Le Mans, an extra narrow piece of window was mounted on the front hood, a feature also seen on other cars from that era. 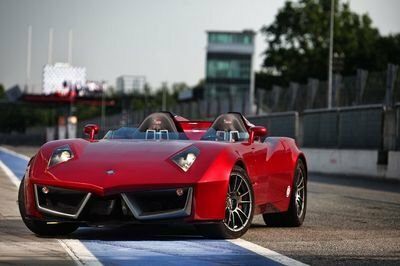 The 4.0-liter V-12 in the 340 MM, that was one of the last to be in-unit with the gearbox, had its power figure boosted to 300 horsepower at 6,600 rpm, which translated to an official top speed of approximately 150 mph. That figure was surpassed in actual racing in spite of the fact that the car was equipped with a four-speed box, as opposed to the five-speed found in the Mexico it replaced. The major improvement from which the 340 MM benefited was the use of quad-choke Weber carburetors that gave it the 20 extra horsepower when compared to the Mexico. The downside of the Weber IFC/4 carbs was the difficulty posed by the theoretically simple task of changing spark plugs. Indeed, the 340 MM remains the only single plug model to be fitted with four-choke carburetors, which is yet another reason behind the interest for this particular car. Other updates included the introduction of a limited-slip differential, which, together with the increased track and wider wheels, gave the 340 MM greater stability. The drum brakes remained the same from previous models but this did not prove to be a problem as they still offered the needed stopping power. The car’s debut took place at the 1953 Tour of Sicily where Gigi Villoresi took an easy win ahead of the production-based Lancia Aurelia of Valenzano. Up next came the Mille Miglia for which five MMs were displaced. Two of them, for privateer Tom Cole and works driver Gianningo Marzotto, were fitted with Vignale bodies, while the other three factory entries for Luigi Villoresi, Giuseppe Farina and Giulio Cabianca had Touring-crafted bodies. 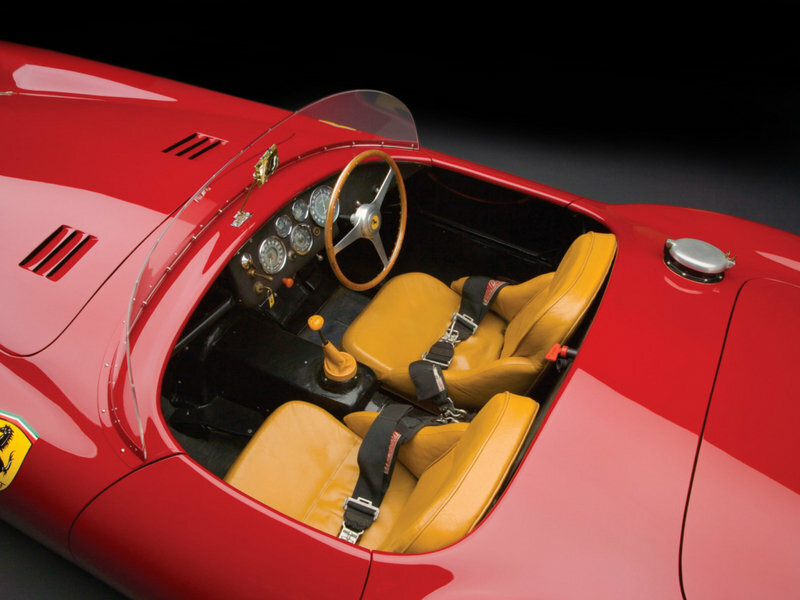 The opposition came from the improved closed-cockpit Lancias as well as the 3.5-liter Alfa-Romeo of Juan-Manuel Fangio. The Argentine led the way until the steering had enough of the torture and gave up, one wheel responding to the inputs of the driver while the other did not. This helped Marzotto to tremble pass in the Apennine section of the course. He then built a comfortable gap which measured over three minutes at the Bologna check point where Enzo Ferrari himself could be seen spurring his drivers on. On the fastest bits of the course, the 340 MM would often reach speeds in excess of 170 mph, which was quite a lot on wire wheels. Marzotto finished first after 10 and a half hours of tough racing with a winning margin of 12 minutes. Tom Cole came home fourth, while Cabianca was classified ninth. Villoresi retired with rear axle trouble, while Farina crashed out as he often did. On the fastest bits of the course, the 340 MM would often reach speeds in excess of 170 mph, which was quite a lot on wire wheels. The next race for the 340 MM was on British soil, the spyders being welcomed in the Daily Express Trophy at Silverstone airfield. Tom Cole was present with the same Vignale-bodied car that he raced at the Mille Miglia while Hawthorn represented the factory in a 340 with a Superleggera Touring body. Mike, a future Formula One World Champion, took the win in spite of opposition from a not-so-production-based Allard J2R and a Frazer Nash. Behind Hawthorn came Cole, which signed another steady drive proving himself as a safe pair of hands. For Le Mans, Ferrari brought three cars: an improved 375 MM with increased engine capacity and more power, and two 340 MMs. All the cars received berlinetta treatment from Pininfarina. Somewhat odd, the 375 MM’s extra power did not reflect in its top speed, which was behind that of the rivaling Jaguar C-Type and the privately-entered Ferraris of Luigi Chinetti and Tom Cole. 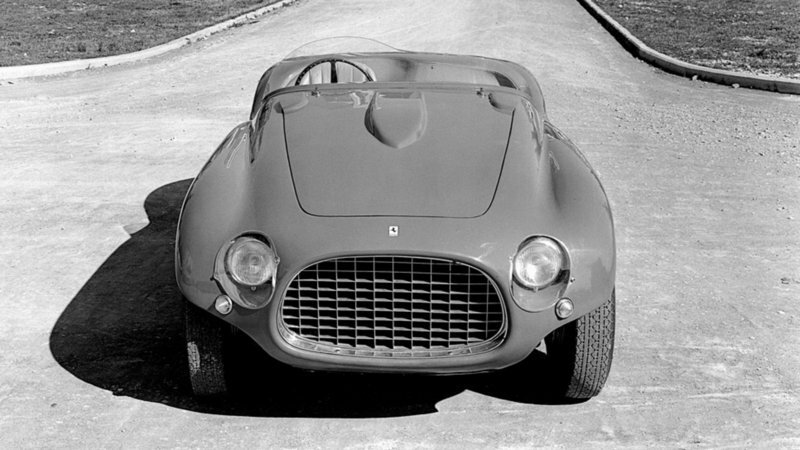 In spite of this, the big-engined Ferrari battled for the lead for as long as it lasted, with the speed deficit made up by the talents of Villoresi and, mainly, Alberto Ascari. Sadly, Ciccio’s car was sidelined early Sunday after the clutch gave away. The 4.0-liter cars did not fare much better either. The star-studded lineup of Farina / Hawthorn did not see much action as their car was disqualified after taking on extra brake fluid before the minimum 28 laps were completed. The surviving 340 MM driven by the Marzotto brothers crossed the line fifth overall while Cole’s car skidded off track at Maison Blanche killing the American driver. This would not be the only fatality in the Ferrari camp as two 340 MMs that were sold to privateers subsequently crashed and killed their drivers, American Bobby Baird and Frenchman Pagnibon. At the British Empire Trophy on the Isle of Man, Hans Ruesch drove a Touring-bodied 340 MM to 3rd place before a Chinetti-entered 4.0-liter car was raced at the Reims 12-hour enduro. The duo of Chinetti and Phil Hill did not finish, same fate being in store for the factory-entered 375. 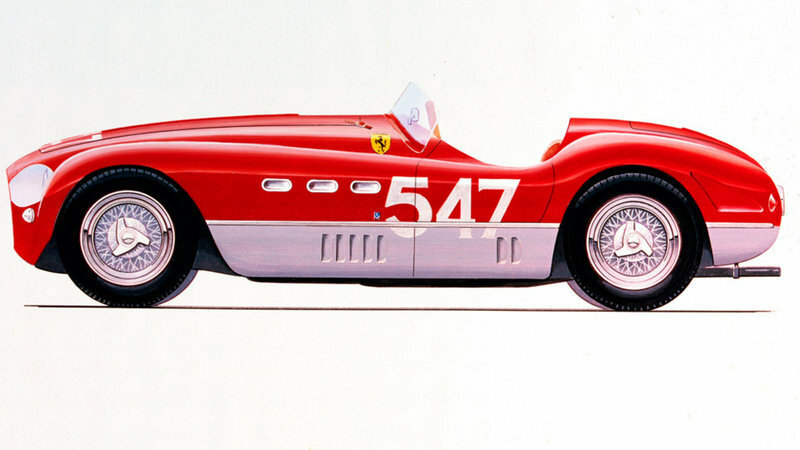 That proved to be one of the final appearances for the 340 MM in the World Championship as for the latter races Ferrari decided to use the 375 MM, which would win the 24 hours of Spa and the Nurburgring 1000 km. These victories ensured that Ferrari would win the World Championship by 3 points from Jaguar. 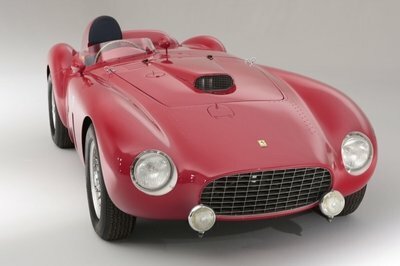 As with other Ferraris of the 1950s, the 340 MM is exceedingly expensive. To get your hands on one, a five-million-dollar-deep pocket is necessary at the very least, with the most expensive examples, like Ascari’s Pininfarina-bodied 375 MM, crossing the board for almost $10 million. 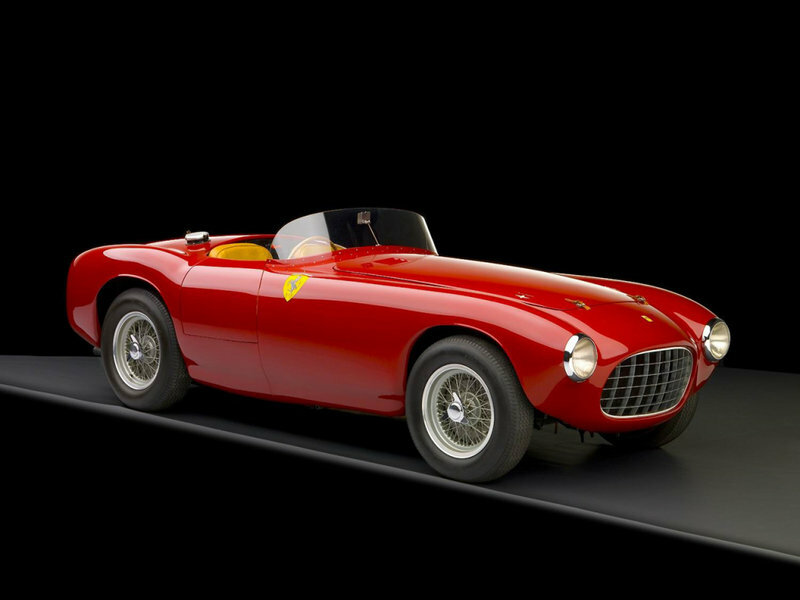 As with most Ferraris from those days, prices are only expected to rise as these cars rarely come up for public auctions as many collectors usually choose to buy and sell in private. These means that the opportunity to see cars like this at an auction is as rare as the Touring-bodied examples of which only two were built. 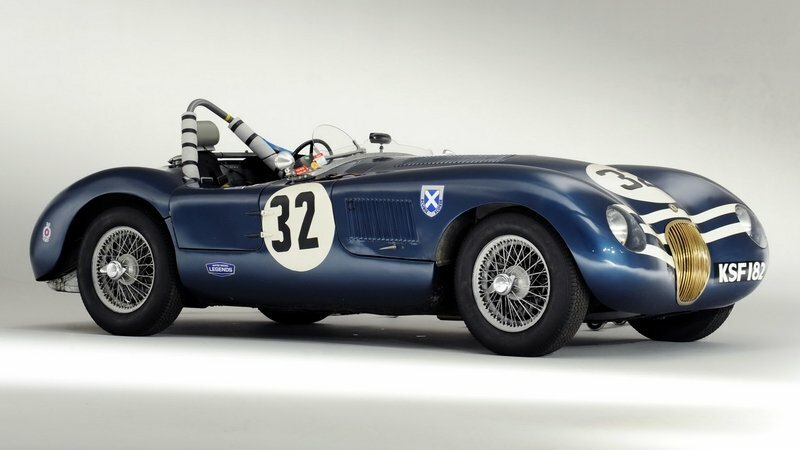 The Malcolm Sayer-penned svelte spyder was Jaguar’s first Le Mans winner. Its roots laid clearly in the XK120 which served as a foundation for the Coventry-built racer. Driven by the likes of Stirling Moss and Peter Whitehead, the C-Type was successful in spite of the fact that the in-line six only put out 220 hp in its most evolved 1953 form. The disc brakes were first introduced on the C-Type in 1952, aiding to the 1953 victory when it raced against a host of Ferraris, most notably that of Ascari which was more powerful but overall slower. The British car proved more reliable and won, such reliability being what made it very appealing for countless privateers that kept using many of the 53 chassis built up until the dawn of the 60s. Read our full review on the Jaguar C-Type here. The big-engined 6C proved to be a worthy competitor for the 340 MM, especially when Juan Fangio found his way behind the wheel of the 275 hp coupe. The car featured a tube frame chassis mounted around a center backbone. It featured double wishbone suspension up front and a De Dion axle at the back. Arguably the best result for the Colli-bodied racers was a 2nd place at the Mille Miglia, a race that Fangio controlled until his steering was damaged. The cars failed to finish at both Le Mans and Spa but they kept being relevant even after they ended their career with the factory as experimental vehicles, some chassis being modified to welcome disc brakes. Adorned by beautifully clean Vignale and Touring bodies, the 340 MM was one of those cars that deserve their place in history for helping Ferrari bag one of its many world titles in endurance racing and for winning the legendary Mille Miglia. Besides the figures, the 340 is also remarkable for employing some rather high-tech technical solutions like the limited-slip differential and the quad-choke carburetors. These now outdated, common applications gave the barchetta and the subsequent berlinetta a leap ahead in power output, a chapter at which the Ferraris of the time always excelled as they followed The Old Man’s rhetoric .